Whenever wounds are in places difficult to reach or to put a bandage on, Wholesale-Direct recommends you to keep Spray on Bandage at hand to seal and protect the wound keeping germs out and moisture in. 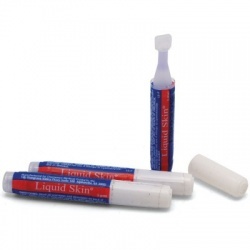 Spray On Bandage There are 3 products. Spray on bandage, 3 oz. can Case of 12 @ $4.45 ea. 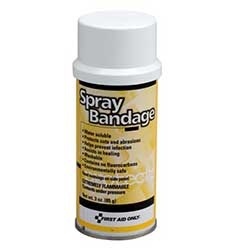 Spray on bandage, 3 oz. can Case of 12 @ $4.45 ea.